Invest in the future of South Africa’s Future Stars and Stars in Education, because later they will invest with you! children who look up to him to make a better future for themselves. 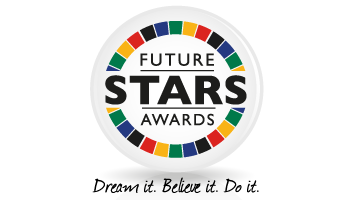 Of the 216 entrants that submitted their Future Stars entries to SAstudy.co.za, these five Future Stars received the most votes from the public on the website. And simply by sharing their ambition for being Future Stars, each of these winners will be getting R10 000 to help make their dreams become a reality. SAstudy.co.za is Argo’s premier information source and reaches more than 275 000 university students, high school pupils, parents and opinion leaders in South African education. It’s the perfect information hub for prospective students across beautiful Mzansi, offering them support with life skills, financial advice, institution information and course and career opportunities. Argo is actively investing in the future of South African stars and, in doing so, is guiding the key market influencers. There’s no better way to build a brighter future for your brand than to support the youth and make a meaningful connection with your customers of the future.